Gift from the farmers of Ireland aims to raise money for the homeless. The 20-year-old tradition of the Live Animal Crib at the Mansion House in Dublin continues and this year is focused on the homeless. Irish Farmers Association (IFA) President Eddie Downey encouraged people to visit the Crib over the next fortnight as their voluntary donations would go to the homeless. “As a gift from the farmers of Ireland, we hope the Crib brings joy and excitement, particularly for young families. It is also an opportunity to support the Mansion House Fuel Fund, which helps the homeless at this time of year,” the IFA President said as the crib was officially opened earlier this week. Children dressed as angels, aged three and four, came from St Joseph’s Nursery, Maryland in Dublin to sing Christmas carols at the Mansion House. 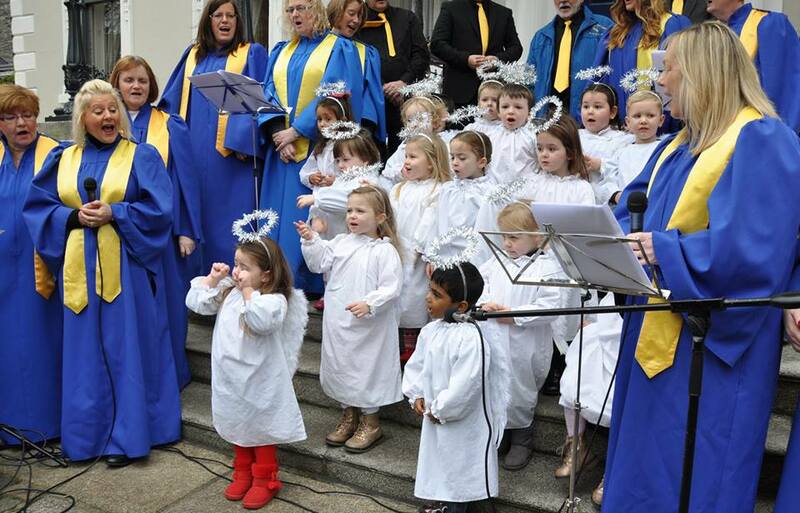 They were joined by the Lucan Gospel Choir. The Lord Mayor, Cllr Christy Burke was also present. “The Crib symbolises the sentiment of the first Christmas in the heart of Dublin and the animals are a welcome gift from the farmers of Ireland to Dublin for many years,” he said. He thanked the IFA for donating and caring for the animals in the crib every year. The animals are removed from the crib each evening and brought to a Co Dublin farm for stabling overnight and feed. Cllr Christy Burke also thanked the Dublin City Council’s Housing Maintenance Section for constructing the stable. Admission is free, but donations are welcome to the Mansion House Fuel Fund which raised over €16,000 last year for charity. The Fund is one of Dublin’s oldest charities and raises funds for a number of Dublin-based charities including St Vincent de Paul and Dublin Simon Community. The Live Animal Crib is a joint initiative between Dublin City Council and the Irish Farmers’ Association. The tradition of the live animal crib is not confined to Dublin. There is a life-sized live animal crib at the heart of the EU at the Grande Place in Brussels, alongside the 22 metre high Christmas tree with its ‘Eco Cutting’ certification. It is a gift of Riga, capital city of Latvia, European capital of culture 2014. 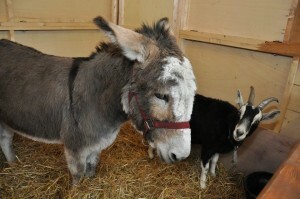 London Heritage Farm invites people to visit their crib and make the personal acquaintance of Jacko a Sicilian Donkey, and descendant of the patient donkey that carried Mary through Bethlehem, and some of his stable mates – miniature horses, sheep, goats and rabbits. In France, the crib is a particularly old tradition, as it is thought to have been invented in the 13th century by Francis of Assisi, who represented the story of the Nativity in an old stable using people and live animals. This tradition of both live people and animals continues today. For example in Saint-Hilaire-du-Harcouët the live crib presentation lasts 35 minutes with a text read by a celebrity, and it involves 40 actors and 15 animals. The IFA Live Animal Crib at the Mansion House will be open every day (8th-24th Dec) from 11am to 6pm (closes 2pm on Christmas Eve).